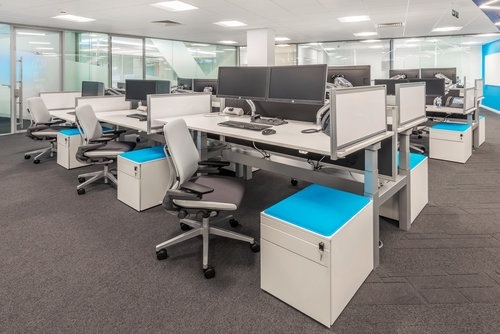 Services provided: Specification, procurement and installation of office furniture, integrated technology products and management of the office move. Alnylam Pharmaceuticals is a biopharmaceutical company headquartered in Cambridge, Massachusetts. Since its foundation in 2002, it has grown to employ more than 360 employees from its US headquarters. The company prides itself on offering a superior benefits package to meet the varied personal and workplace needs of its employees. As part of this strategy, Alnylam acknowledges that its workplace is a key tool in its employee attraction and retention program, helping to inspire and engage its employees and contribute to its brand culture. 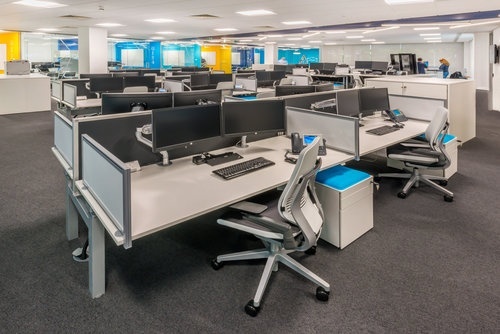 Alnylam is still relatively small in Europe but, with ambitious plans to grow to 150 employees over the next five years, it needed to move to a new building that could provide more space as the company grows. 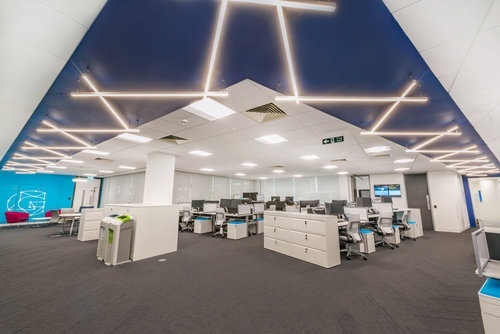 The attractive new building in Maidenhead has four floors for it to grow into and is tasked with helping Alnylam to attract and retain top talent from its industry by providing a state of the art workplace. 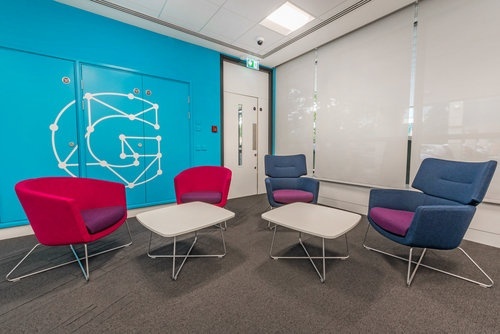 After working with Steelcase and our sister company Red Thread in America to create the look and feel for their new US campus, they wanted to replicate the clean lines and high quality feel for their new UK headquarters in Maidenhead. 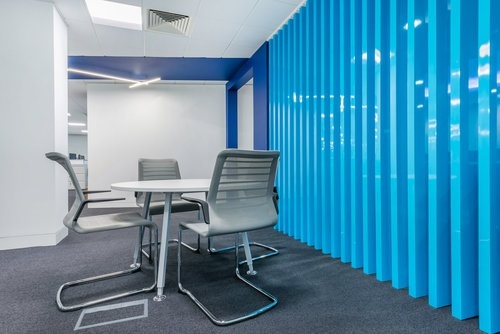 Insightful Environments was tasked with specifying all the furniture and audiovisual technology for the initial phase of the new office move. 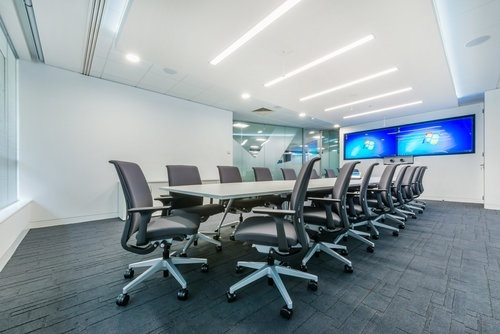 Alnylam wanted a reliable partner who could supply and install the furniture and AV equipment as well as manage the move to its new building. 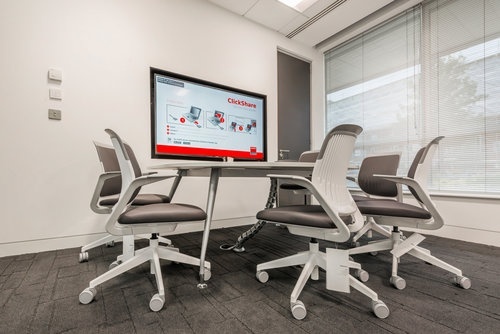 Working closely with Alnylam and Steelcase, we studied product standards and photographs to help us choose the best technology and furniture products to create the same look and user experience that employees enjoy at the US campus. 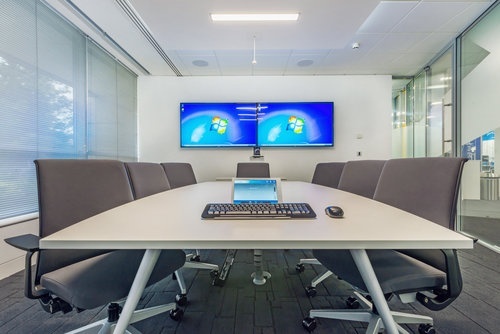 In July 2016, we completed the installation of the furniture and AV solutions over a period of a week before the move, which was completed in a day. 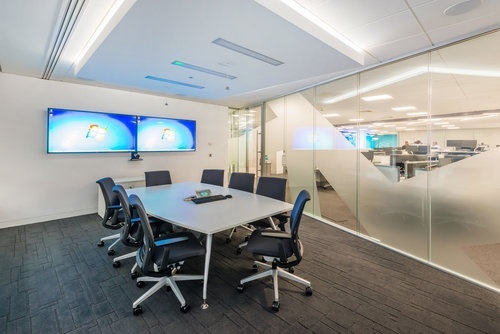 Alnylam employees from both sides of the Atlantic are now able to enjoy a seamless transition between offices using the similar technology and enjoying the same workplace experience. 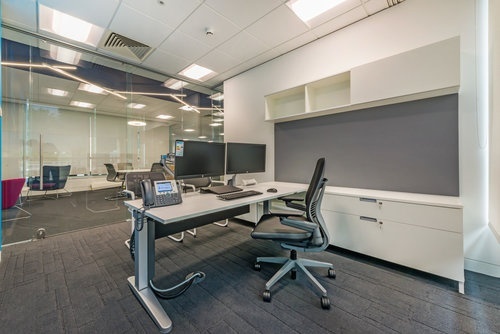 The new office looks fantastic and is a great place to work offering employees a range of informal and formal work settings including height-adjustable workstations, presentation rooms, conference rooms, private offices, reception and breakout areas. 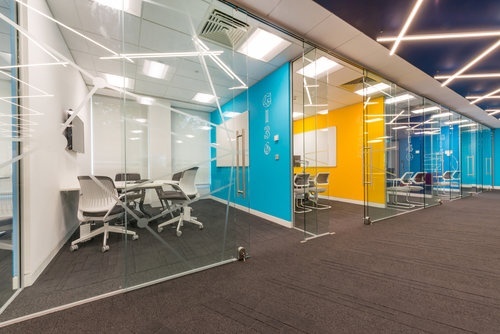 Insightful Environments was a pleasure to work with. They were very professional and a great asset in helping Alnylam fulfil our vision in our new office environment in Maidenhead, UK. Both the Furniture and AV teams were great to work with. They both helped our Alnylam culture feel seamless between the US and UK sites. The Installation team was also professional, courteous and accommodating.